While most dad’s are spending this Fathers Day relaxing with their families, one Windsor dad is on the other side of the country. Jim Maxim a Windsor Fire Department Captain has taken a leave from work to cycle across the country to raise money for two very deserving Windsor Charities, the Heart Defects Society of Windsor-Essex and the Windsor Spitfires Foundation. 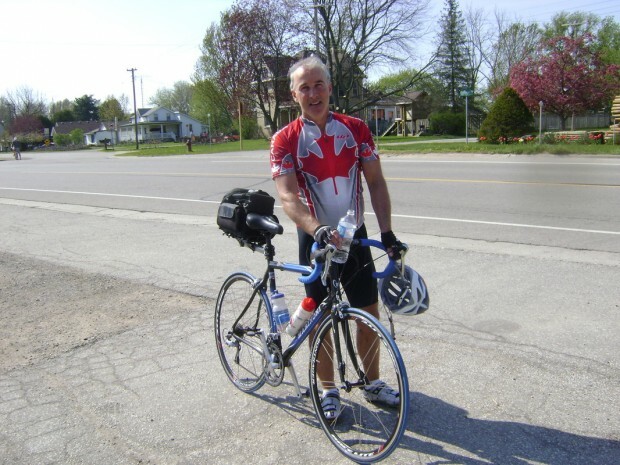 Jim’s Cross Canada Conquest began on May 29th and has been updating his facebook page daily. Currently he has just made it back in Ontario, after starting out in Vancouver. As of now, they say that donations just aren’t coming in as they had anticipated. So, if you would like to support Jim and his amazing journey across Canada, then this Fathers Day stop by his website and make a donation, and help this dad see his goal to support theses two charities become reality!